it was so cool and an honor to tattoo kevin for his interbike rail jam first place prize. shoots, big. 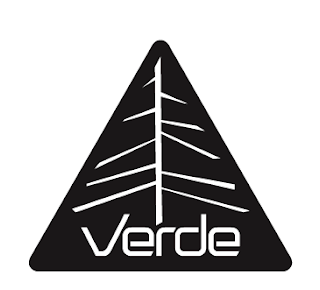 Team Verde in Hawaii. Let's Party! Yes, it's true. Will and the boys from Verde Bikes are in Hawaii for some rest, relaxation and probably some filming for an upcoming feature in Dig. They'll be at BIKEFACTORY Waipio this Saturday night (February 20th) from about 8:00pm. Come down to see Will Stroud, Kevin Kiraly, Justin Burns, Brian Yeagle, Dave Thompson and Rob Dolecki session our box, the NEW quarter and the local hospitality. Bring your bikes and some potluck style dishes for the grill. BYOB if you're over 21! Let me know or the guys at SHOOTSBRAH.com if you have any questions. Streets Of Madness #5!, Already? Hell Yeah!! Y'all ready for 'dis? We will be running the contest just like last year. Everybody shows up at 8:00am on March 6th at Kaka'ako Waterfront Park. Teams are limited to between 3 and 5 riders, period. Keep your guest appearances to a minimum. Videos are between 5 and 10 minutes . . . again, period. Everyone will meet up at Hooter's in the Aloha Tower Market Place on Sunday, March 7th at 8:00pm. Please be on time. I'd prefer to not keep the Hooters Girls there any later than we absolutely have to. I have a stopwatch and I'll be stopping the videos at 10 minutes so the pretty ladies can go home. If you have any questions, please contact us through duane@shootsbrah.com.